American consumers held a total of 3.3 billion loyalty program memberships in 2015. Membership in restaurant loyalty programs grew remarkably in 2015 and had an immensely high growth rate at 107%. The report confirming this information conveys that U.S. households have an average of 29 different loyalty memberships in sectors ranging from retail, to travel, to financial services. Sadly, 59% of these programs are inactive (i.e. they do not earn or redeem once a year). Your restaurant loyalty program is one of your biggest assets. If it's seen as just another commodity in the eyes of your customers, there's no incentive for them to choose your restaurant over any other. That's why you need to increase the number of active users in your restaurant loyalty program to breed customer loyalty. Here are five tips for restaurants to develop sustainable loyalty programs that ensure guests remain active in the long-run. Changing consumer behavior is hard - especially when the alternative is cumbersome and requires a lot of effort. 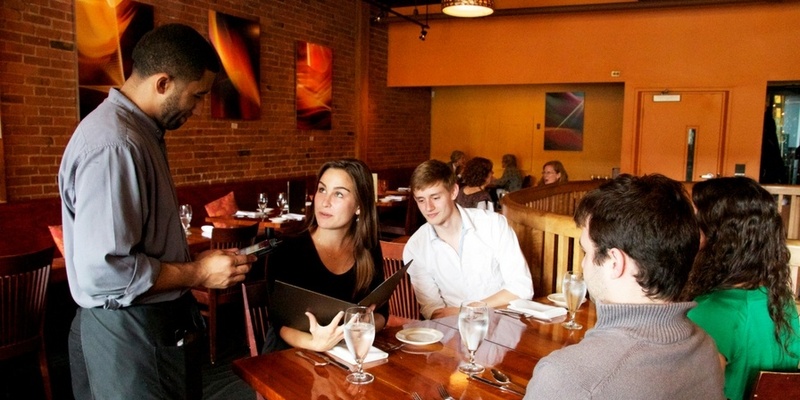 The first steps to sign up for your restaurant’s loyalty program must be incredibly effortless. Habits are much easier to form if the work to start is minimal. Integrating customer loyalty with credit card payments is definitely a more accurate method of collecting customer information than having them carry a punch card. Enabling your guests to opt-in to a loyalty program right from the payment screen can seamlessly increase adoption for your restaurant’s rewards program. Asking your employees to sign up for loyalty after they exit the point of sale means your restaurant sacrifices a chance to solidify a new loyalty member then and there. Make every effort to ensure they sign up while your customer is at the register and their interest in your restaurant is (literally) right in front of you. In Starbucks’ renowned rewards program, My Starbucks Rewards, members earn “Stars” for each mobile transaction or payment with their Starbucks Card, which they can redeem for custom offers and free food and drink. The multinational coffee chain incorporates a tiered reward system whereby customers can earn better rewards the more frequently they visit a Starbucks store. Not only does Starbucks incentivize its members to upgrade their membership tier to receive exclusive rewards (such as free refills), but it also creates a sense of urgency by only giving customers twelve months to accumulate their stars to move up to the next tier. Using a tiered rewards system can benefit your restaurant tremendously to build a community of highly committed customers who are in it for the long haul. A never-ending points system that reassures your customers will receive their reward whenever they get around to it diminishes immediacy, which can severely lower the foot traffic to your business. When I go into Saloniki for lunch near our office in Fenway, I use the mobile payment app, LevelUp, to pay for my Greek salad. A few seconds after the transaction, I receive an email receipt from LevelUp with a status bar displaying how much more I need to spend to unlock the next reward. The feeling of having made some progress motivates me further to return again soon to achieve my goal (in this case, a discounted Greek salad). The perception of progress has a profound effect on our brains. If you don’t acknowledge your guests’ progress, they may feel indifferent and lose their commitment to working towards their freebie or reward. It’s a simple psychological effect that can have a critical influence on your ability to retain your restaurant's customers and breed brand loyalty. An essential way to incentivize guests to come back and accrue points is to offer rewards for redemption that will actually align with their tastes and preferences. In short - give the people what they want! Offer rewards related to the theme of your restaurant. 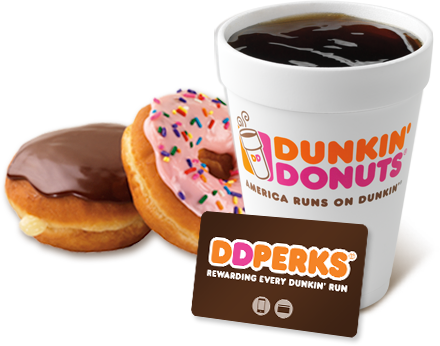 Dunkin’ Donuts’ customer loyalty program, DD Perks, offers free beverages when you enroll, on your birthday, and after every additional 200 points earned. Understanding your customers’ values, gathering customer information about their interests, and providing them with relevant rewards goes a long way in fostering genuine restaurant brand loyalty. Try thinking of creative non-monetary rewards to ensure customers gain a sense of involvement to the core brand rather than solely acting on impulses from discounts and other manipulations. Monetary rewards can be very effective in the short-term, but non-monetary rewards will instill a more authentic and lasting form of loyalty for your restaurant. Chipotle recently launched “A Love Story Game” where people can play the game of matching real ingredients and earn a BOGO (buy one get one) burrito. Converting your loyalty program into a game is a great way to boost engagement among your customers and grow your brand awareness. This method may require more technical expertise, but is an avenue to consider for tech savvy restaurants nonetheless. If your game really picks up, members of your loyalty program may even share with their friends. You could also make sharing with friends a task or an opportunity to "power up" within the game. Both of these game-oriented routes will lead to more brand exposure and - ideally - more active members for your restaurant loyalty program. Diners have voted with their wallets. They love loyalty programs, but will soon forget about them if there's no call or incentive to be an active loyalty member. Remove this barrier and work towards creating an inventive, fun, and personalized restaurant loyalty program within a POS system built for restaurants that's easy to use and even easier to join. What do you do to boost engagement and the amount of active users for your restaurant loyalty program? Share your success stories with us in the comments!